It is an annual trade show attracting the right audience with 91% of the visitors are the decision makers and a half of all the visitors are company owners and directors from all regions of Ukraine and neighboring states who specifically attend to gain first hand access to year’s newest prices for the whole trading season and to participate at some 20 specialised conferences and presentations bursting with ready-to-use energy efficient industry solutions and show-exclusive offers. 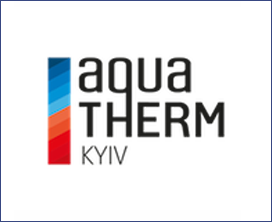 Aqua-Therm Kyiv takes place at the International Exhibition Center, Kiev’s best exhibition venue with up-to-date modern infrastructure and easy access by public and private transport, an ideal place for running a successful international event. Taking place on May, 14-17, 2019 , at the International Exhibition Centre (IEC) in Kyiv, the event features hundreds of domestic and international industry players who are keen to promote their latest products and technologies to industry specialists such as installers, dealers, engineers, architects, regional distributors and municipal buyers.